When planning these small events related to your wedding, seeking out small event venues is often first on your list of planning tasks. Small event venues typically accommodate up to 100 guests which makes small event locations a perfect spot for hosting any type of smaller-scaled event. When selecting small event venues, here are some details to consider in order to make the best decision for your event. The location of the venue can be a critical factor when selecting a small event venue for your event. Pay attention to where your invited guests will be coming from in order to select the location of the small event venue. For example, if you are choosing between small event venues for your rehearsal dinner or post-wedding brunch, you may wish to select a small event venue that is centrally located to those events. Having the venue located near the other events taking place will make it easier for both you and your invited guests. If you have guests traveling from out of town or staying at a hotel in a specific area, you may also wish to consider venues for small events in a central location to make it as easy as possible for your guests to attend. You may be able to narrow down your choices of small private party venues based upon availability. Many venues for small events book well in advance so be sure to seek out the small event venues on your list early on in your planning process. This will help you to have a choice rather than decide based upon what is available. Keep in mind that many small event venues are open to the public or may host multiple events in one day. For both reasons, it’s best to inquire about these details upfront before making your selection to avoid any areas for conflict later on in the planning process. While the size, location, and availability of small event venues may meet your needs, what else does the venue have to offer for your event? Does the venue recommend that you work with vendors on their preferred list or are you able to work with outside vendors on your event? You may also wish to ask your venue contact if they have in-house catering options as well as floorplan layout options. This will help you to get a feel for their accommodations should you choose the venue for your event. Menu & Service Style Options. Does the small event venue offer various service styles and menu options? Is there a detailed list of catering packages for you to review? Are you able to see a sample menu and/or schedule a tasting? 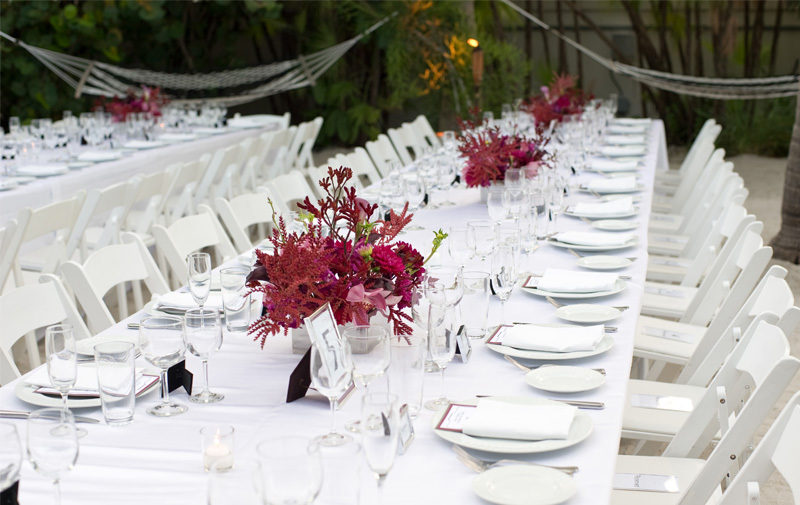 Are there food allergies you need to address and can the venue meet these needs? Are you allowed to bring in outside food (like celebration cake) or does the venue provide this for you? If you are looking to include dancing during your event, does the small event venue layout have room for a dance floor? Is there enough room for bridal shower games or other activities on your list? Some small event venues offer outdoor event space layouts. Are you looking to host your event outdoors if the weather is nice? Does the venue you are currently looking at provide this option? If this is something you are interested in securing for your event, ensure to ask what happens if it rains. You will want to know they can guarantee an indoor spot for your event should the need arise. In today’s technologically advanced society, small event venue innovation comes into play. When seeking small event locations, remember to ask about their technological capabilities. Strong WIFI, plasma screens, mobile phone charging stations, and adequate technological wiring and connections are important not only for guest experience but for your event as well. For example, if you plan to show a photo/video montage, you will need the screens for display. Your entertainment company may require screens or proper wiring connections for their equipment as well.